Bluemels mudguards are used by many bicycle manufacturers around the globe. Produced in CAB as Chromoplastics these mudguards are highly resistant to corrosion and ultra violet radiation resulting in great flexibility and a virtually unbreakable product. 3.0mm stays and front fork crown fitting are made of stainless steel. For safety the front stays are mounted with ASR joint clips. Will They Fit 26 X 2.0 Schwalbe Marathons? Will the 53mm width allow 26 x 2.0 Schwalbe Marathon Plus tyres? 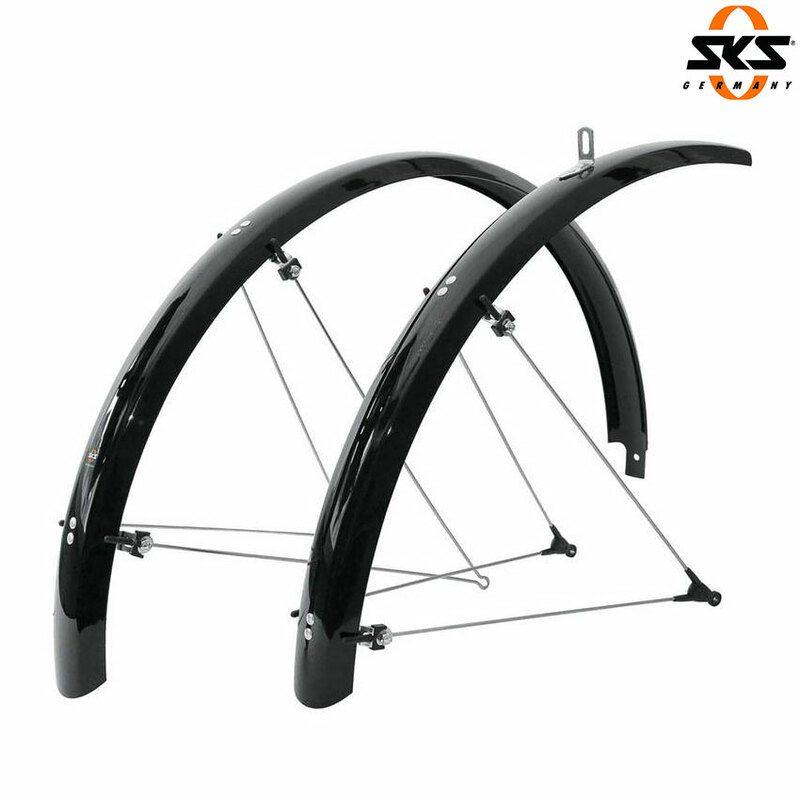 These mudguards should fit the tyres you have mentioned as they are designed to fit 26" tyres. Please note that 2" tyres are 50mm wide. What Wheel Diameters Will These Fit? I'm looking for full length mudguards to give clearance to the 622_56 tyres on my Salsa Fargo 29er adventure tourer. These fit MTB which is 26 inch. What Range Of Inch Tyre Widths Does Each Size Cover? The range of tyre sizes that will fit in these mudguards will vary between different tyre types and tread patterns. Smoother tyres can go right up to the correct size where as tyres with larger tread will need a few mm's clearance either side. For reference 2" tyres are 50mm wide.